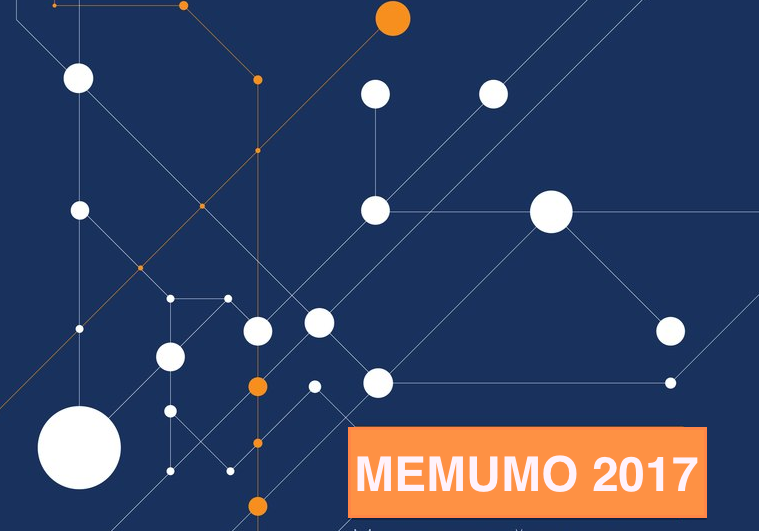 The International Symposium MeMuMo 2017 “Multimodal Communication Across Languages and Cultures” was held in Moscow State Linguistic University on October 31 – November 1, 2017. It covered a variety of issues in multimodal linguistic research. Multimodality as the ability to use various modes of communication (eye movements, hand gestures, facial expressions, posture, etc.) is at present one of the most powerful tools for investigating human cognitive resources. The Symposium featuring innovative technologies and modern trends in multimodal communication research brought together leading scholars in the area of human cognition. They provided lectures and master-classes on gaze-tracking, gender communication, gesture studies, and sign language for BA, MA, and PhD students. The Symposium was opened with the welcoming address of Irina A. Kraeva, Rector of MSLU, who stressed the importance of the event and its pioneering role in developing linguistic and cognitive awareness by means of new methods and technologies. The plenary lectures given by Marianne Gullberg (Sweden), Nicole Richter (Germany), Alan Cienki (the Netherlands), Aliyah Morgenstern (France) revealed the complex nature of communication as a multimodal phenomenon. The four master-classes introduced the basics of multimodal analysis and provided their participants with practical knowledge on how to use experimental equipment, to organize and conduct a multimodal research. Master-class 1 on gaze-tracking basics (leaders: Olga Iriskhanova, Maria Kiose, Olga Prokofyeva, Anna Bratseva, Ekaterina Balakina) presented the eye-tracking technology that is used by researchers to measure eye performance in processing information. At Master-class 2 (leaders: Maria Tomskaya, Anton Emelianov, Irina Zaytseva, Ekaterina Panchenko) the participants got acquainted with various approaches to gender aspect of multimodal communication. The participants of Master-class 3 (leaders: Cornelia Müller, Lena Hotze, Valeria Denisova, Natalia Alekseenko) looked into the leading strands and techniques in gesture studies. Master-class 4 (leaders: Dominique Boutet, Jean-François Jego, Anna Leontyeva, Anastasiya Rzheshevskaya) explored the motion capture equipment used for co-speech gesture and sign language research. Relying on this hand-on experience the students participated in the case competition which took place on the 1st of November. The contest of four teams involved improvising a multimodal linguistic study and presenting the research project in English to the international jury and the audience. The poster-session highlighting the results of the multimodal studies by BA students added to the climax of the day. The winners of the case competition received diplomas and prizes.